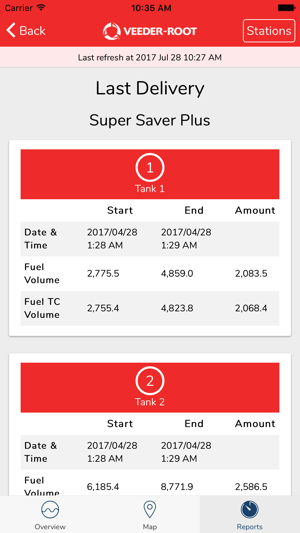 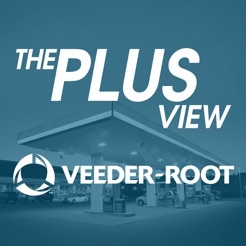 The Plus View provides a fresh look-and-feel application for viewing a customer's gas station network that utilizes TLS-450PLUS and TLS4 tank monitoring equipment. 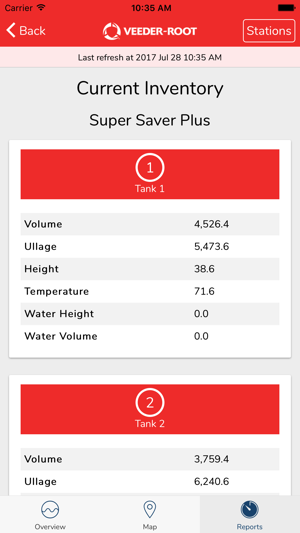 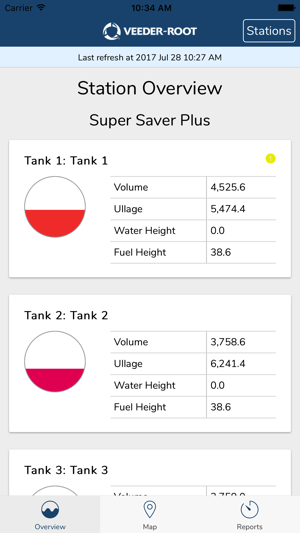 A detail of each connected station's tanks with Volume, Ullage, Water Height, Fuel Height, Tank Status, Siphon Set designation and Delivery In-Progress indicator. 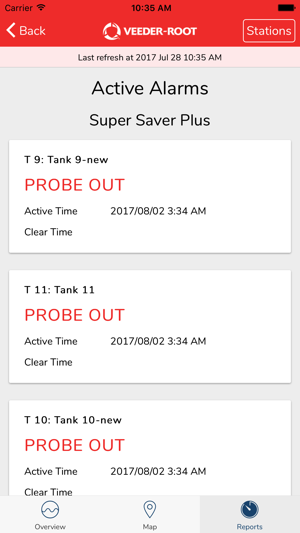 Three reports are available for each station, Active Alarms, Current Inventory and Last Delivery. 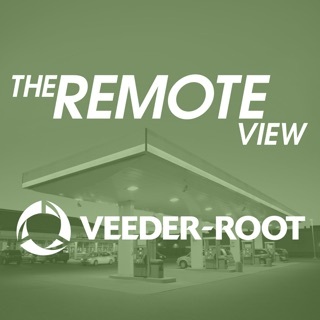 The map view provides a pinpoint of all stations. 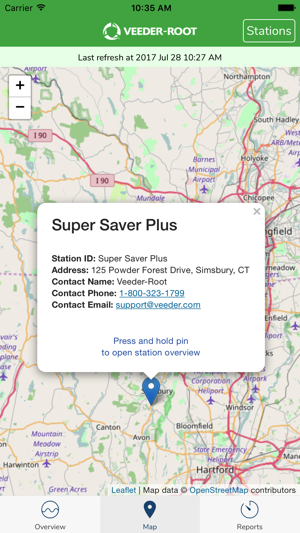 Selecting a pin provides station details and holding a pin will switch to that stations Overview page.